A new report from Eilers & Krejcik Gaming proposes that more than 30 states are likely to authorize sports betting by 2023 if the federal ban is repealed. This news comes as a boost to the ongoing sports betting legalization effort, especially with the New Jersey sports betting case about to enter its final hour. If this report comes true, the legal US sports betting market will grow exponentially over the course of the next 6 years. The standing federal ban on sports betting, known as the Professional and Amateur Sports Protection Act (PASPA), blocks 46 states from having any kind of regulated sports wagering. The only 4 states exempted from the law are Nevada, Delaware, Montana and Oregon. These states already had some form of legal sports betting on the books at the time of PASPA’s enactment. The ban has been in enforcement since 1992, so it is easy to see why so many states are ready for a change. Eilers & Krejcik is a research firm focusing on gaming technology and equipment in the global gaming enterprise. They offer services such as market research, company research and consulting for both land based and online casinos. Their US sports betting report argues that with 32 states offering some form of regulated sports betting, a $6 billion revenue mark could be reached. The report goes on to surmise that revenue could expand to $16 billion (coming off $245 billion in handle). These figures were not just pulled out of thin air. The same research firm estimates the offshore sportsbook industry to be making around $50-$60 billion annually, which translates to $2.5-3 billion in revenue. The American Gaming Association, a group of lobbyists for US casino and online gambling, estimates that Americans spend upwards of $150 billion. 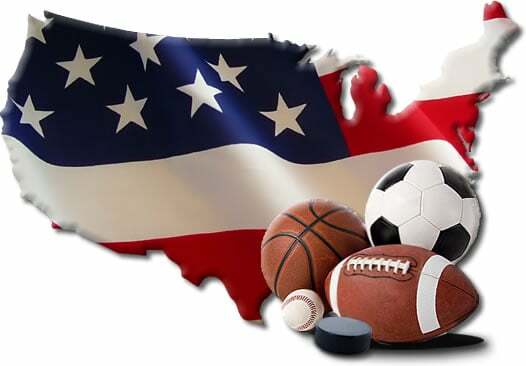 While the AGA’s figure is certainly much higher, the fact remains that Americans are betting on sports though means not regulated by US constituents. The Eilers & Krejcik report, while enticing for sports betting advocates, is worth nothing if PASPA is not repealed. New Jersey is in an ongoing case with the United States Supreme Court over their right to host sports betting. NJ attempted to authorize sports betting back in 2014 but was quickly shut down by the federal government after backlash from the major professional sports organizations. They lost their appeal in the lower circuit courts, but somehow managed an audience with SCOTUS. If the Supreme Court rules in favor of New Jersey, it is highly likely that PASPA will be repealed. This would open the door for other states to introduce sports betting. Some states have already drafted sports betting legislation in anticipation of the NJ case. When you see the revenue figures promoted by Eilers & Krejcik and the AGA, it is not difficult to see why states want to gain a regulatory hold on this market. Even some of the major sports leagues have made statements regarding legalized sports betting, despite their continued involvement with the NJ case. The New Jersey case is expected to be resolved by the end of this year, though it is possible it will continue into 2018. In any case, the legal sports betting movement is on standby.